The Cast Iron Bath Company elegance.classic.style. Every detail of our cast iron and copper roll top baths is meticulously designed and manufactured by a dedicated team of hand-picked craftsmen. The Cast Iron Bath Company was set up by the architectural historian Lee Hunwicks in 2008. While working with restoration and interior experts on period properties Hunwicks realised the difficulty and expense of sourcing period baths and fixtures. Recognising a niche business opportunity Hunwicks - alongside highly skilled craftsmen steeped in the traditions of ironwork, vitreous enameling and hand polishing - started selling classic cast iron baths. Today The Cast Iron Bath Company employs twenty eight people and produces the largest range of quality iron and copper baths in Europe, as well as an extensive range of sanitaryware, tapware, showers and bathroom accessories. In 2016 the company introduced their own range of premium tapware manufactured exclusively for The Cast Iron Bath Company to perfectly complement their traditional double ended cast iron baths, elegant slipper bath tubs and stunning copper freestanding baths. Now an established brand in the industry, The Cast Iron Bath Company has partnerships with major bathroom manufacturers Lefroy Brooks, Burlington, Imperial and Perrin & Rowe. These close relationships allow The Cast Iron Bath Company to offer coordinating bathroom suites in period, traditional and contemporary styling via showrooms in York and London or online. Individual and detailed customer service is absolutely central to the company’s operation, and to avoid lengthy delays, there is always a large range of designs in stock. Baths are shipped globally with clients in the UK, Europe, Caribbean and the Far East. Finance is offered via Close Brothers at 0% and delivery is free within Mainland UK. Going from strength to strength, The Cast Iron Bath Company opens their second showroom in Islington, London. The company also expands their own branded range of products to include premium bathroom radiators, tiles and showers. With products now featuring regularly in interior design and style magazines, the team are invited to show 16 freestanding baths at the Grand Designs exhibition. Looking to the high street for the first time, The Cast Iron Bath Company opens their first showroom in York. This allows them to grow sales, with an expanding range of bathroom suites, sanitaryware, tapware, showers and accessories. In this year the company also introduces their own range of premium quality bath and basin taps, manufactured exclusively to The Cast Iron Bath Company's exacting standards. During this year the business expands to larger premises on Hopper Hill in Scarborough, boosting employee numbers from 8 to 24. With 10% of sales going overseas and a reputation amongst boutique hotels and interior designers, the company's turnover tops £4m – mainly selling online via a comprehensive website or by telephone. 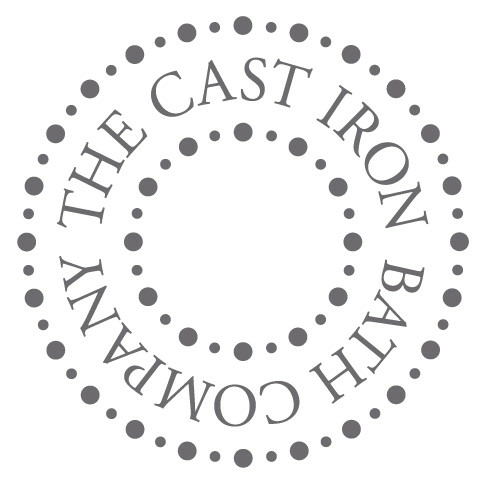 Now employing four members of staff at a warehouse and showroom in Plaxton Park, Scarborough, The Cast Iron Bath Company establishes partnership agreements with leading bathroom manufacturers such as Lefroy Brooks, Burlington, Imperial and Perrin & Rowe. Company founded by Lee Hunwicks who spotted a niche market opportunity while working with restoration and interior experts on period properties. Hunwicks quickly expanded his fledgling business to a barn near his home selling hand finished baths online.